The Secretary of Agriculture talks about funding for organic farming research, Cuba, and GMO labeling. A version of this post previously appeared on Modern Farmer. Earlier this week the USDA reached out to Modern Farmer asking if Secretary Tom Vilsack, the only member of President Obama’s cabinet that has lasted through both terms in office, could give us a call. He wanted to plug the $17.6 million in grant money that the U.S. Department of Agriculture (USDA) recently made available for organic farming research, as well as a few other things he’s been working on to support the local food movement, or what the USDA often refers to as the “farm-identity preserved” market. But we got to chat about a few other things, too, like Vilsack’s recent trip to Cuba and his views on the GMO labeling debate. We understand there is a big announcement recently that organic farmers are going to be excited about. What’s the cause for all the excitement? We’re making $17.6 million available for research and outreach for the organic industry. Folks have until March 10 of this year to apply. What types of research projects are eligible? [Applicants] can take a look at production methods or the economic benefits of the industry, seed varieties, desirable traits to be enhanced, conservation opportunities. This is a continuation of a list of steps we’ve taken to try to support the organic industry. Is this a new allocation of funds or is it part of the USDA’s annual round of funding allocated for agricultural research? It’s new in the sense that in the 2014 Farm Bill Congress directed us over a five-year period to provide nearly $100 million of resources for the Organic Agriculture Research and Extension Initiative. We had a commitment last year of roughly $20 million. This is $17.6 million, all designed to carry forward that directive from Congress. There is quite a bit of activity going on in this space, from negotiating [organic certification] equivalency agreements to developing insurance policies that will help organic producers who are producing multiple crops with our new Whole-Farm Revenue Policy. Tell us about the Whole-Farm Revenue Policy. How is that different from existing farmer insurance policies available from the USDA? It’s different in the sense that crop insurance is not always available for specialty crop producers. 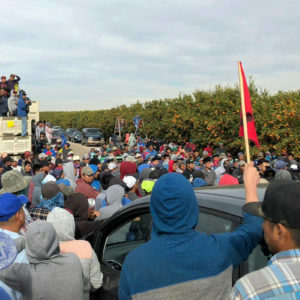 You may be a producer that’s producing five or 10 or 15 different specialty crops, and none of them are large enough by themselves to merit a policy. [Existing programs] didn’t necessarily provide the level of coverage that was necessary, nor did they reflect the value added proposition that organic crops can generate. Is the intent to have a custom-tailored insurance policy for small, diversified farms or certified organic producers of any size, or both? The Whole-Farm Policy gives you an option as a producer to get risk management against your entire operation, rather than breaking it down by commodity. We also created specific risk management tools for organic producers that are based on the contract price that they are able to secure as opposed to the commodity price for the product. If you have organic corn, for example, it may be significantly more valuable based on the contract you have to supply it, than just a basic corn crop. So now you’re able to secure crop insurance protection for the contract price you have. 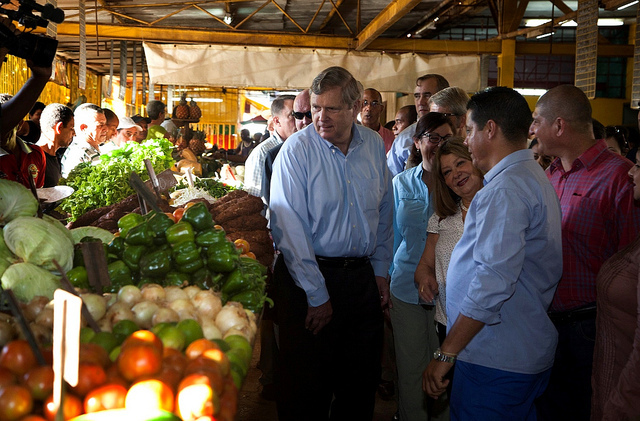 I think [Cuba has] an incredible opportunity in the future to be a major supplier of value-added organic products. We understand that you were in Cuba recently. Did you tour farms? What was your impression of their organic program? I did tour farms both in the countryside, and they also have a significant number of urban farming operations that [I visited]. I think they have an incredible opportunity in the future to be a major supplier of value-added organic products, simply because they have not utilized modern agricultural processes, have not used chemicals and pesticides and so forth that have been used in other parts of the world, including the U.S.
Cuban farmers have a reputation of utilizing organic methods almost exclusively as a result of the trade embargo preventing petrochemical-based inputs from being available. Did your observations there match that reputation? They have this pristine landscape that could potentially be converted to organic production relatively easily, without the necessity of the three-year transition period that we have for so many acres here in the U.S. We’ve encourage them to consider taking full advantage of that, given the supply concerns that we are beginning to hear and see and experience in the US and around the world in terms of organics. Obviously, without an export market in the U.S., Cuban farmers have had no reason to be certified organic according to USDA standards. But if the embargo was lifted, what kind of organic exports can you see Cuba providing to the U.S.? First and foremost there has to be a lifting of the embargo. That’s a problem, that’s a barrier to the kind of activity that could take place. They are producers of a number of fruits and vegetables that obviously could be quite popular in the U.S. They do a lot of citrus; I think I saw the world’s largest avocado [chuckles], it was 3 pounds, massive. There is quite an impressive array of root vegetables, and fairly significant garlic production. I think they just have an unlimited opportunity here. Did seeing Cuba’s urban farms spark any ideas for you? Not so much spark any ideas, but seeing the incorporation of urban farming into a strategy for utilization of land in urban settings [was] quite a bit like the activity we’re seeing in the U.S. We’re actually putting together—it’s not quite ready for publication—but we are putting together an urban farming toolkit that would essentially provide a step-by-step process if you are interested in establishing an urban farm. 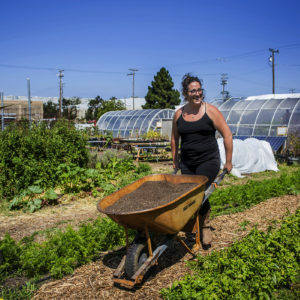 Have you toured urban farms in the U.S., as well? I saw one recently in Cleveland that was pretty impressive. We’re working with Baltimore, working in Detroit, working in a number of areas where there have been depressed neighborhoods economically, and seeing this as a way of potentially turning the fortune of folks around a little bit. We’re working with grocery stores like Whole Foods to encourage them to locate in and around these areas, and to utilize locally produced products. I think there is a growing interest in this. Local and regional food systems are one of the fastest-growing aspects of agriculture. We’re working with Baltimore, working in Detroit, working in a number of areas where there have been depressed neighborhoods economically, and seeing [urban farming] as a way of potentially turning the fortune of folks around a little bit. Tell us more about how the USDA is supporting local and regional food. We have funded over one thousand different projects that are related to local and regional food systems, from microloans for producers to tunnel houses to extend the growing season to funding food hubs to linking local producers to schools and other institutional purchasers and developing market information so that folks can properly price their products. And in the organic space, we’re making sure that there are enough people here at the USDA that understand the importance of organic. We have what is referred to as a literacy initiative—there is the undergrad course, then there is the advanced course. I think over 25,000 people at the USDA have taken the undergrad course, and thousands have taken the graduate course. So there are people that are sensitized, if you will, in looking for opportunities to use our programs to assist organic. President Obama has one year left in office. Is there a mandate or an emphasis going into that final year for the USDA, in terms of what you hope to accomplish? I don’t know if you have enough time for me to answer that question [laughs]. Unlike many other departments of government that have a narrow focus, the USDA is such a broad [department]. In each mission area of the USDA, we have a focus. For example, in the local and regional food systems space, we are very interested in making sure that our Know Your Farmer initiative is institutionalized within the USDA so that it’s not necessarily an Obama administration priority that then goes by the wayside with the next administration, but that it becomes part of the fabric of the USDA. What are some of your broader priorities outside the local and organic realm? I think it’s important to create support for diversity in agriculture, diversity of processes and production methods, people, size of operations. We think there is great strength in diversity, so we want that to be institutionalized within the USDA. We want to make sure that we continue to look for ways in which we can expand market opportunities, so there is obviously going to be an interest, for example, in getting the Trans-Pacific Partnership agreement approved. [The agreement] contains an initiative to encourage more equivalency agreements between countries on organic. It will make it easier to export and import organic products into the states, and from the states. Do you think the GMO labeling legislation that is being deliberated right now in Congress will be resolved in the coming months? Well let me first of all say that I think it has to be resolved. It is important for us to ensure that consumers who are interested in getting information have access to it. I think it’s going to be necessary for congressional leaders to publicly commit themselves to getting this done before the end of March. The House of Representatives has signed off on the legislation, but it seems to be bogged down in a virulent debate in the Senate around whether to allow states to come up with their own GMO labeling rules, or whether there should be a national GMO labelling program, similar to organic certification. Is the USDA playing a role in the legislative process? I think the USDA has a role in trying to … find a way in which we can provide consumers the right to know, but to make sure that it’s done in a way that doesn’t necessarily send the wrong message about the safety of a product. There is obviously a dispute as to how that’s done. I think the USDA has a role in trying to mediate or arbitrate or help solve that dilemma, and find a way in which we can provide consumers the right to know, but to make sure that it’s done in a way that doesn’t necessarily send the wrong message about the safety of a product. I’m hopeful that we can get that done. I don’t think anybody fully appreciates the unintended consequences of having multiple different standards for product labeling and the costs that that will result in, [which will] ultimately be passed on to consumers. I don’t think it’s in the best interests of anyone, frankly, to have multiple different standards that will increase the cost of food in some cases or limit access to food, particularly for folks who are struggling economically. So, yeah, we are going to be involved in that. I would anticipate that after the first of the year that we’re going to be focusing a lot of attention on that. There is a big disconnect between polls showing that a majority of consumers are very concerned about GMOs in the food supply and the scientific consensus around GMOs, which says they are generally safe to eat. What do you attribute that disconnection to? I think it goes back to when this technology was introduced into the marketplace. I think that companies that promoted this did a very good job explaining the benefits to farmers and producers. 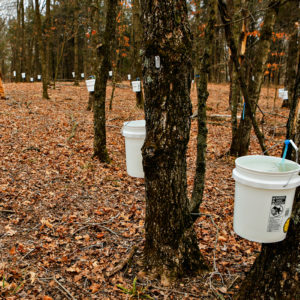 They failed to make the same case, if you will, to consumers, either by reassuring them of the safety of the product, and/or by pointing out that these products are allowing us to produce more with less inputs than we would’ve had if we were producing an equivalent amount under the old way. [With GMOs] you have less chemicals and less pesticides per bushel, or per acre being used. So you’re of the opinion that GMOs are fundamentally safe for consumption and beneficial to the environment, but you still think they should be labeled? I think the folks overseas in Europe are concerned about the impact GMOs can have on competitiveness to their producers. Many of the countries in the EU, not all of them have taken a strong position on it. It’s a situation in which perhaps the labeling discussion, if we can get this right, will ease the concern, allow folks to make a choice, and then the marketplace will ultimately gravitate to those choices.